Rollem have launched their new apprentice training scheme with the hire of 3 new apprentices. Blake Goldsworthy, 17 from High Green, James Matthewman, 19, from Aston, Brendan Reeves-Jones, 19 from Ecclesfield (pictured). They are all studying with AMRC-Training Centre in Rotherham towards Level 2 and Level 3 Mechanical Maintenance apprenticeships which will take 3 years to complete. The course includes units on fault diagnosis, planned maintenance, mechanical and electrical maintenance, fluid power and dismantling and replacing parts. 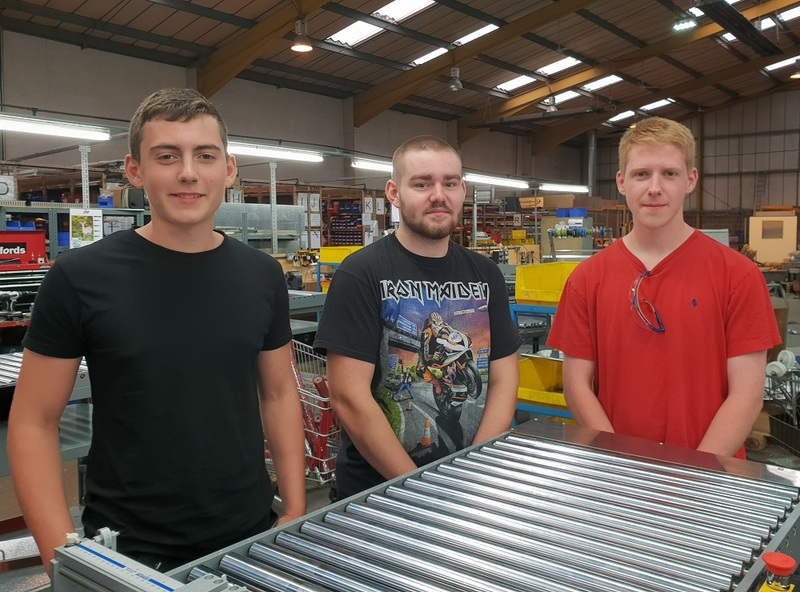 Blake (pictured far left) is just starting his apprenticeship and will complete his first 6 months full-time at AMRC-Training Centre in Rotherham before coming back to Rollem in Barnsley. James and Brendan have completed their first 6 months and are now working at Rollem with day release to AMRC-TC to complete their studies.